The Rise, Fall and Redemption of James Fairweather by Paul Robinson. The book ‘Six Years in the Prisons of England’, published anonymously in the 1860s, offers a fascinating glimpse into the harshness of Victorian prison life. Written by a once wealthy and respectable Dundee jute merchant, the author’s first-hand account describes the conditions under which he and fellow convicts were kept and exposes the many failings in the prison system of the day. Now, a century and a half after his story was first told, the author is identified and the events leading to his fall from grace, his imprisonment and subsequent release are laid out alongside the original text. 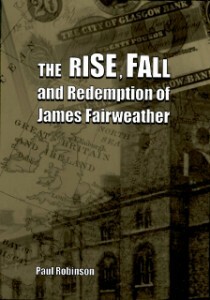 ‘The Rise, Fall and Redemption of James Fairweather’ provides a detailed and unique accompaniment to a fascinating human story and an important social commentary. James spent a short time at Wakefield prison but was transferred to the newly built invalid convict prison at Woking – to see why you need to buy the book! Paul is a local history and genealogical researcher – his main interests being criminal history, Staffordshire and the Black Country. This entry was posted in News on August 31, 2015 by carol. After repeatedly saying I was going to go to the Pleogsteert 14-18 Experience, which I had seen on recent visits to the area, I set off one day for the hour long journey. I was armed with ‘Sally Satnav’, my camera (minus spare batteries……..oops!) and a bag of Wine Gums! I had, before setting off, had a look at the Pleogsteert 14-18 Experience website, to find out it’s opening times and how much it was going to cost etc,. Did I wish I had not bothered? Yes! The site has the capability of changing languages, but I found it hard to work through, with many of its pages not loading, just leaving me with a page of empty squares. It was not the kind of website I had expected for such a new historical experience. Let the journey begin, after stopping at Pont Dachelles Military Cemetery to see who was there (another blog), I found myself in Ploegsteert. 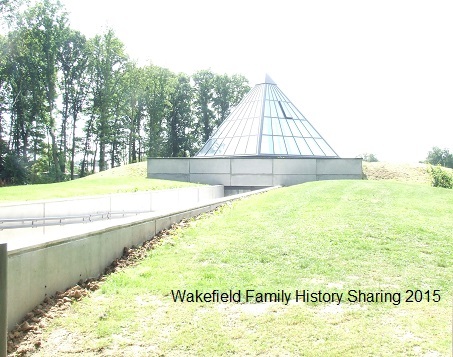 There was only one sign, on a round-a-bout telling me of my final destination, but I did know where I was going, as the Experience is situated next to the Ploegsteert Memorial – and you can’t miss that wonderful structure, even if you try! I followed the sign, which was where ‘Sally Satnav’ was taking me. I knew there was parking on the main road, as I had parked there on many occasions, but thought there may have been a car park specifically for the venue – not a sign in sight for that one! I crossed the road, which was surprisingly quiet, and walked along the tree lined path to the venue. 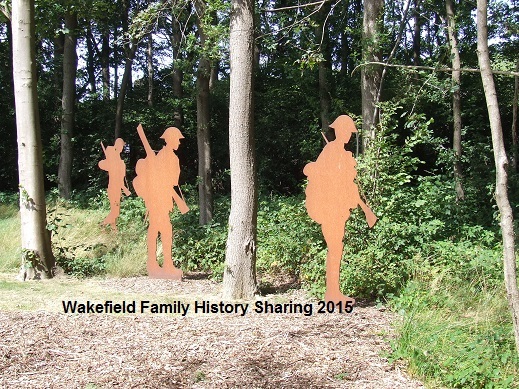 As I came within a few yards of the sloping entrance, tall metal figures representing First World War soldiers greeted me from just within the tree line. The entrance is a gently sloping path, leading to an underground centre. Atop the centre is a glass pyramid. informing of an Australian trail and a very informative leaflet on TocH. Into the main reception area there is a selection of books in various languages and various items for sale – each one having a poppy somewhere upon its surface. 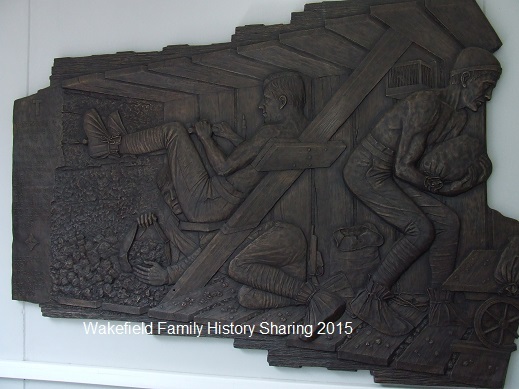 I did notice a quite striking bronze plaque/monument on the wall, depicting Australian tunnellers. I paid my 5euro and was informed by a young lady how to proceed and which language buttons to press! On entering the darkened hall I sat down and pressed the ‘E’ button to listen to the first of the presentations. Initially, quite interesting, as it passed from how Great Britain and Europe expanded its territories during the early 1900’s. Then, how with the assassination in 1914 war began. The presentation went on, month by month, year by year and I am afraid by 1916, I was all warred out! As I exited I was met with a large surface area covered in a map and another visual presentation on the wall – I gave that a miss too! a soldier. A cross hides the face of a German soldier and the oblong shelters the face of a Commonwealth casualty. 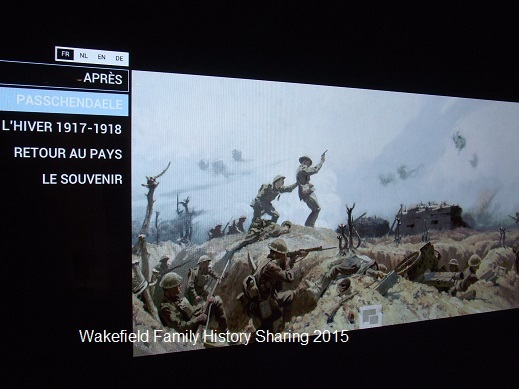 Walking now towards the exit is another interactive presentation – as you walk within a set area the display changes and shows some of the cemeteries within the area, and there are a few. Back in the fresh air, I walked up the slope and followed the path, thinking there may be more to see outside…………….wrong, but I did find the car park! 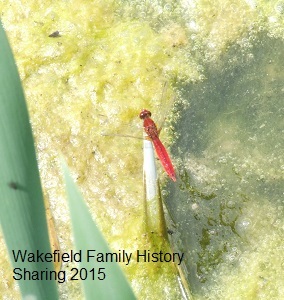 for a moment on the bulrushes or land upon the greenery just slightly protruding from the water. What a pity the deckings railings were too low to rest on while you enjoyed colourful visions. What a pity there was no seating – as it would have been enjoyable to spend a little longer there. This entry was posted in General on August 3, 2015 by carol. While having a look through one my books I stopped at the entry for Poperinghe New Military Cemetery. I was very surprised to read that within the walls of the cemetery lie more executed soldiers than any other Western Front Cemetery, 17 to be exact, who were Shot at Dawn. Who are these men? P J H Wilson; Pte C LaLiberte; Pte J Bennett; Pte A Botfield; Pte R Stevenson; Pte B McGeehan; Pte R T Tite; Pte W H Simmonds; 2nd Lieut E S Poole (one of only three officers executed on the Western Front); Pte J Crampton; Pte J W Fryer; Pte J S Michael; pte J Stedman; Sgt J T Wall; Pte G Everill; Pte W H Morris and Pte F C Gore. In 2006, after many years of campaigning by the families of the soldiers, military historians and the general public, the British Government announced a group pardon for 306 of the 346 men ‘shot at dawn’. These men, many suffering from shell-shock were tried before high ranking officers, who had probably never seen a battlefield close up. These soldiers were poorly represented and in many cases suffered miscarriages of justice. This blanket pardon, although a positive move nearly 100 years later, pardoned those suffering but also included those who had criminal intentions and those who willfully neglected their duty. 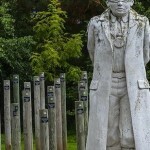 The New Zealand Government, had the previous year pardoned its executed soldiers. National Memorial Arboretum, Alrewas, Staffordshire, DE13 7AR, is the home to many regimental, battle and individual memorials is the memorial to those Shot at Dawn. 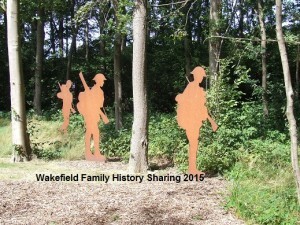 A very moving memorial, comprising or a post for each man. The posts are symbolising the stake the soldiers were tied to before being shot. Eric Skeffington Poole – was born in Nova Scotia, Canada in 1885. He first served in the Halifax Rifles in the first decade of 1900. His family moved to England, settling in the Guildford area of Surrey. By October of 1914 Eric had joined the Honourable Artillery Company, working as a driver. 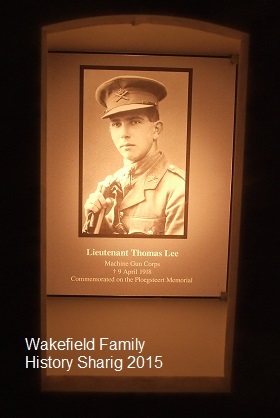 He earned a commission as a temporary second lieutenant in the West Yorkshire Regiment by 1915. 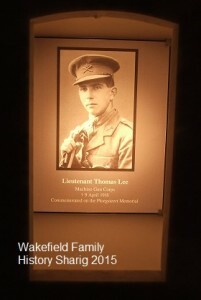 The following year he was serving in France where his regiment was due to serve in the Battle of the Somme. 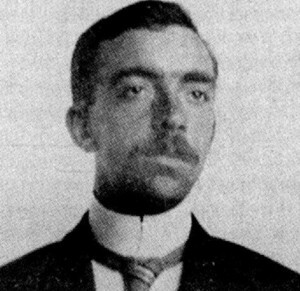 Eric was, according to the National Archives First World War project. suffering from shell-shock after being hit by clods of earth following enemy shelling on the 7th of July 1916. 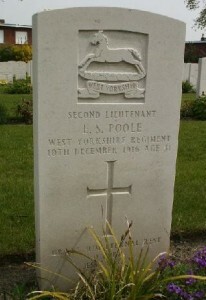 He was sent to recuperate and returned to his battalion by the end of August. He was soon to be in charge of C Company at Martinpuich near Albert. , During his trial Eric described his injuries which caused him to get confused and at times have difficulty in making decisions. It was during one of these occasions that it is said he wondered away from his platoon while they were making their way to the front line trenches. Eric was arrested two days later. In November the decision was made to try him by general court martial for deserting ‘while on active service’. 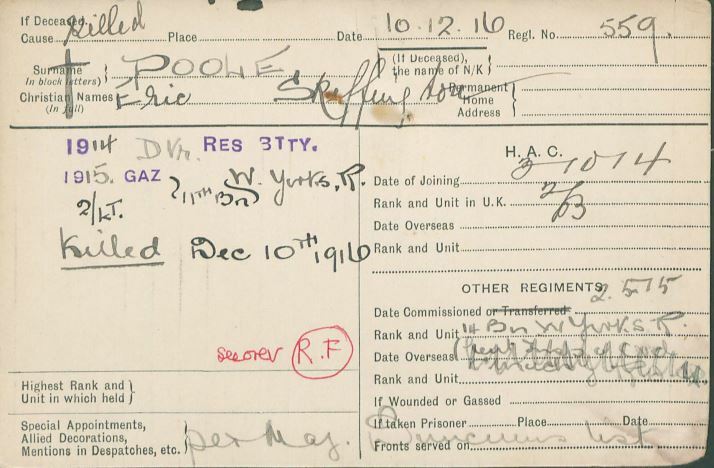 Poole was tried in the small Belgian town of Poperinghe towards the end of November. Six witnesses were called It was noted that Eric’s ‘nerves were rather shaken’. While Eric himself, told that during early October he was feeling ‘damned bad’. Two men spoke in his defence, one a Royal Army Medical Corps., officer, who told that his condition made him incapable of intentionally deserting. Eric re-capped his conditions and told he was unaware of the seriousness of his actions. Despite his defence pleading his case the sentence was ‘death by being shot’. Days after a medical board was sent to report on Eric, they concluded he was of sound mind and understood the consequence of his actions. Eric Skeffington Poole, the first British Army officer to be sentenced to death by being shot, was executed by firing squad behind Poperinghe town hall on the 10th of December, and as we know he rests in the town’s military cemetery. Eric’s fate was not made public back home. His demise was not published in newspapers and his family were also anxious to avoid the word spreading. 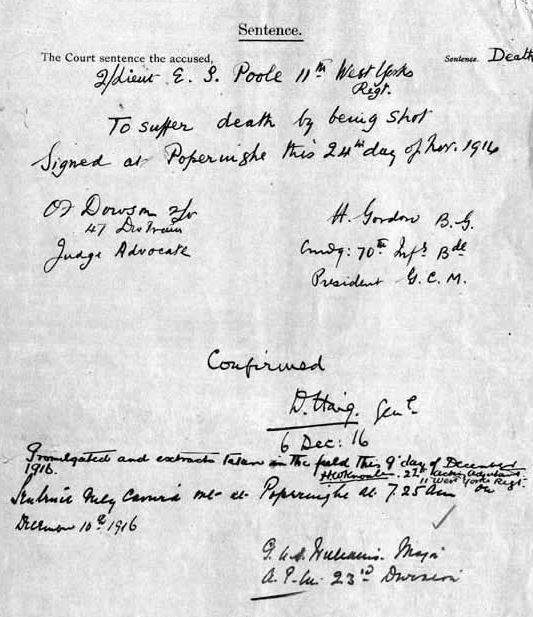 The fate of Eric was not confined to the Commonwealth forces – France sentenced more than 600 men to death by firing squad. Often in open spaces in view of the public and passing servicemen, thus trying to set an example to other soldiers and pointing out the fate of desertion. This entry was posted in General on August 2, 2015 by carol.